MUSIC MEISTER: This version of the character is an extra-dimensional being with the ability to hypnotize people through his eyes, sending them into a dream based on their personal desires. He also can absorb the powers of those he hypnotizes while they are trapped in the dream world, and can materialize anywhere. This version of the Music Meister isn't really a villain. He is someone who tries to help others in his own ways. He states that he believes in the good guys. In the end, was he a guardian angel or just a powerful nuisance? 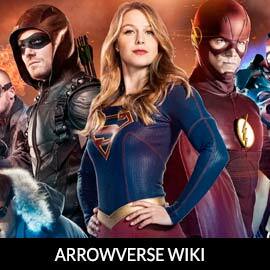 For more on Music Meister, check out our partners at ArrowverseWiki.